Good one - It’s all the characters from this game. 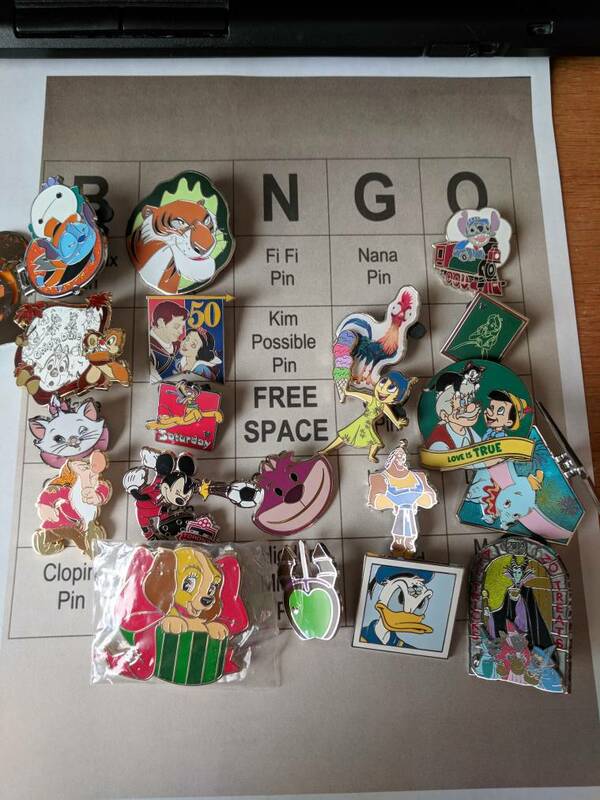 Questions: Do I need to take a photo of my physical pins laid out in a Bingo grid (as opposed to utilizing my collection on Pinpics)? I am visiting my niece, sans pins, and won't be back home til tomorrow afternoon. I mean, I assume I do, but I have to ask, you know? Desperate times, lol. And cause I'm curious, is 1/2 house meaning any 12 pins? Aaarrrrrgggggghhhhhh!!! @Tamatoa Why did you use Clopin?! what about Fifi!!! Or Nana?!?! 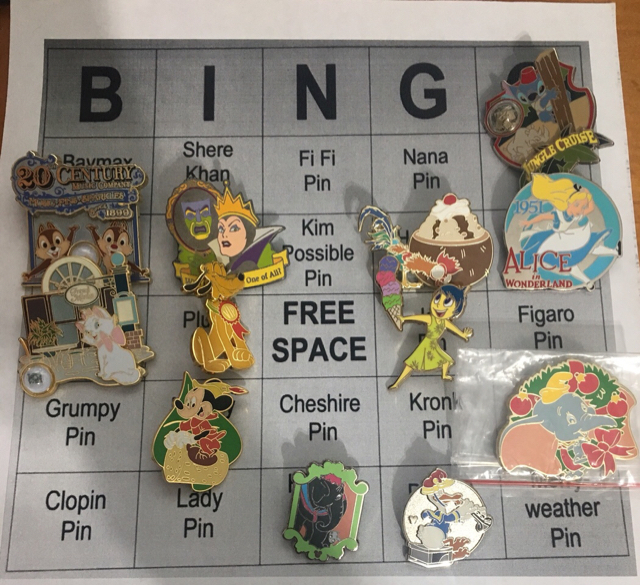 They aren’t on many pins either.... interesting to see if anyone gets full bingo this time. I got one of your zaps and my first thought was honestly “yea! Now I have some Big Hero 6 pins before @Tinawap’s next game”... too bad it’s specifically Baymax this time. Haha i was thinking of the baymax pins I sent you for SS. Should’ve kept at least one for myself!! Agreed... Fifi... ha! nope, Nana... ha! nope... and I have to say, I am not sure I have ever touched a Kim Possible pin (sorry Kim Possible). But I do agree Clopin takes the cake for probably being the toughest in this challenge. BUT if half house means any 12 pins, i think i'm good! Fun challenge! I love digging through my pins! Purplemandms, coblj003 and watzshakinbacon like this. It could be worse, my character from the last pin game has 0 offical pins and 1 fantasy pin in existence. The Lady pin on my board used to be yours... so thank you again for that particular trade. Haha! I was just gonna say!!! I think you might win this challenge! Great job filling in those spaces! I'm just glad @pincrazy sold me my first moana pins recently. Would have been disappointed to not have a pin of my namesake. DX I'll have to redo mine when I get home from work. Apologies. Oh, hmmm... didn't notice it was actually a goon. My eyesight is not what it used to be.